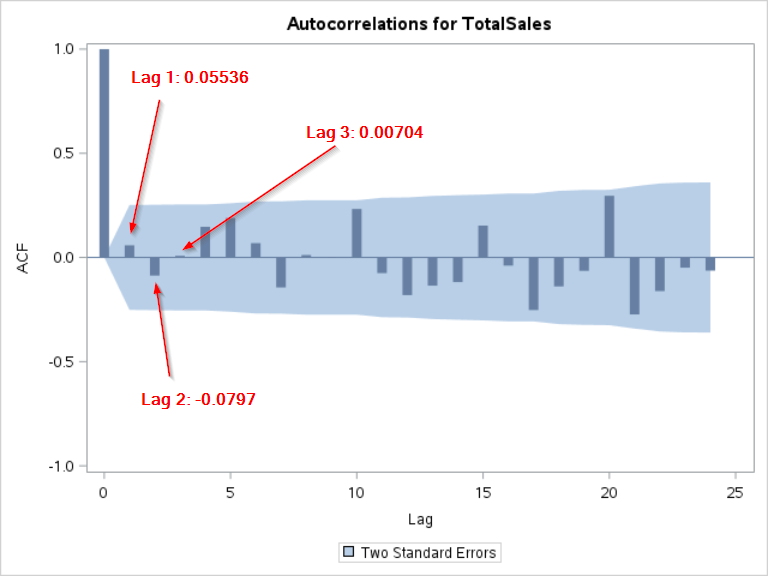 In the last section, we have learned how to compute the autocorrelation of the total sales at various lagged time points. Let's look at how you can create the ACF plot that summarizes the results. ​The ACF plot can be plotted using the TIMESERIES procedure. The ACF plot shows the autocorrelation at different lagged time points. 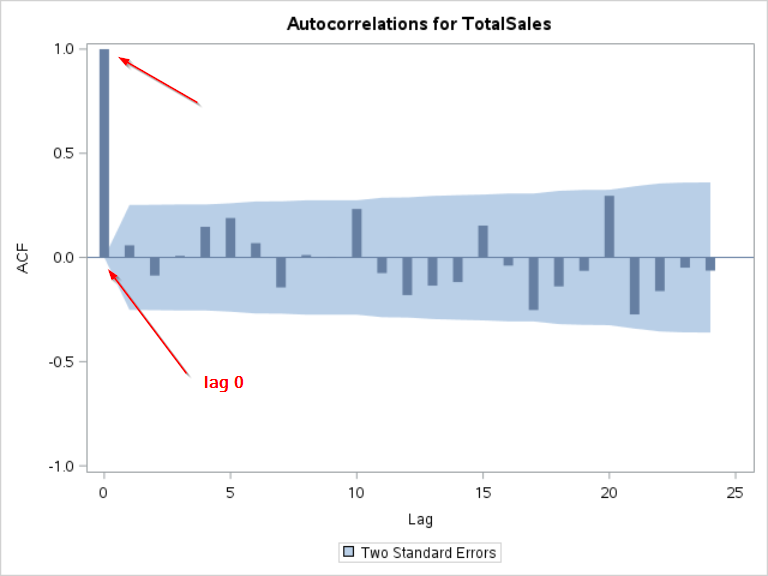 The autocorrelation at lag 0 is the correlation with no lag. Remember the autocorrelations we computed in the last sections? The ACF plot also shows the blue area, which is the 95% confidence interval for the autocorrelation estimate. 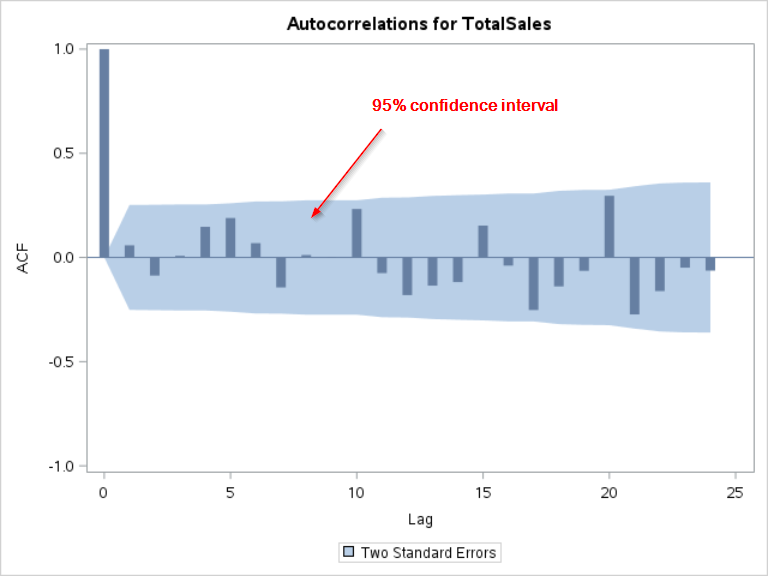 All of the autocorrelations are within the 95% confidence limits. The current day's sales are not significantly correlated with past sales. Does this mean the sales forecast should not be based on past sales? In the next section, we will look at the partial autocorrelation plot (PACF), which contains additional information about the relationship between the sales at different time points. Plot the ACF for the order type A (i.e. ORDERTYPEA variable). Does the plot show significant spikes?